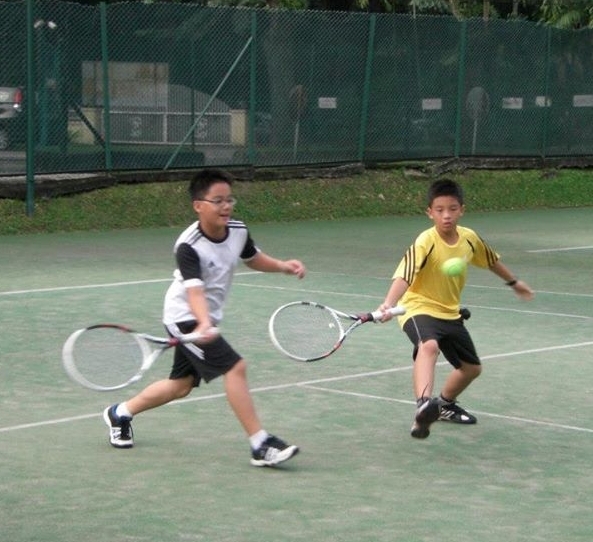 Our programmes are designed according to ITF’s Recommended Play & Stay – Red, Orange, Green and Yellow Ball programmes. Kids are introduced to tennis from as young as 5 years old and progress to intermediate and competitive levels according to your child’s pace of learning. Check our FAQs for more info. This programme is designed to introduce 5 to 8 year olds to the game of tennis in a fun and active environment on a mini-tennis court. Similar to Orange group, but using Green balls, this group helps to transition to the more advanced Yellow ball group. The aim of this programme is to establish a technical, tactical and fitness base for aspiring tennis players using regular tennis balls. · Develop strategically through regular point play. The aim of these programmes is to assist players who desire to play at the National and International level. This programme is catered to the specific needs/requirements of the child.